Brother of Mr W H Wordsworth of The Glen, Scalby, Scarborough. Son of Alfred and Mary Ann Lancaster, of 8, St Martin’s Square, Scarborough. Son of Sir Charles A Payton MVO (retired Consul-General, Calais) of [Stepney Court] 12 Falsgrave Rd, Scarborough, and the late Lady Payton (née Eliza Mary Olive). A Reserve Officer of the Royal West Kent Regt, he left a Government post at Singapore to rejoin at the outbreak of war. Not listed on the Scarborough War Memorial. Son of the Rev R Henning Parr, 1st Vicar of St Martin’s, Scarborough. Not listed on the Scarborough Memorial. 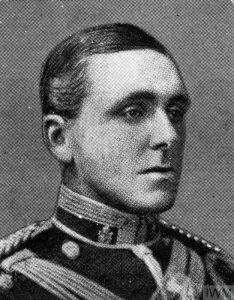 The death is announced in the recent action round Ypres of Lieutenant H W M Parr….. A master of Clifton College. He was…. of the College OTC and in….. volunteered for active service and was….. to the 5th South Staffs. Ltnt Parr was a keen tennis player…. Took a great interest in golf, being a… the Bristol and Clifton Club at…… Memorial service was held in the…… The ‘Death March’ in “Saul”. 4406 Parr, Hugh Wharton Myddleton Parr; b.14.10.81. br. 2961; NT; C-VI; CAP; Capt., Cadet Crops; L1901; Oriel, Oxf. ; Asst. Master Clifton Coll. (M206); 1914 War, Lt., 5th S. Staffs Regt. ; k(action), 1915. The 1912 Clifton College Registry adds that he was the son on Rev. R. H. Parr of Scarborough. Unfortunateley his face was obscured in the 1909 photo of Clifton College Masters. Additional Information: son of Joseph and Louisa Stabler, of Scarborough; husband of Florence Stabler, of Storer House, Highfields, Coalville, Leicester. Back in the comparative safety of Fremicourt the surviving Midland Pioneers paraded for the customary post battle roll call to ascertain the number of the battalion’s casualties. This revealed the unit had lost 3 officers killed, and a further 7 were wounded, whilst the ‘other ranks’ had suffered 30 men killed in action and a further 80 were missing. In addition, 160 ‘other ranks’ were wounded during 21 March 1918. 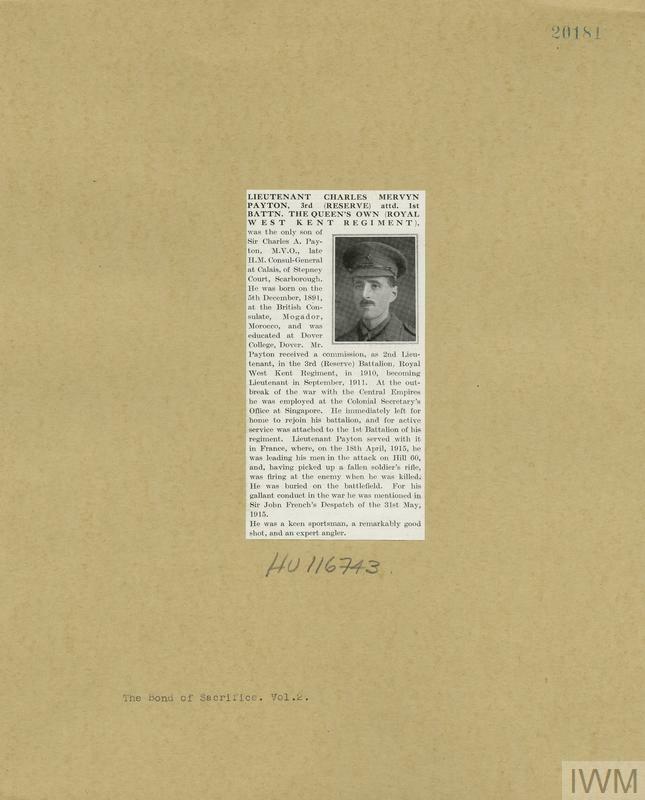 Many of these men were evacuated to various hospitals behind the front in places such as Abbeville, where another Scarborough-born Midland Pioneer succumbed to his injuries by 28 March 1918: 23524 Company Serjeant Major Percival Stabler. The holder of the Distinguished Conduct Medal (‘gazetted’ in the London Gazette of 22 October 1917), ‘Percy’ was born in Scarborough during 1883, and was the son of Louisa Jane (formerly Shaw) and Joseph Stabler, a joiner and carpenter by trade who lived for many years in Scarborough at 39 Castle Road. For a number of years prior to the war Percy worked in the grocery trade in Scarborough. However, Percy was married in Lincolnshire in the Church of St Peter’s and St Paul’s in the village of Gosburton, on 26 December 1907 to Florence Harriet Wheat and, by the time of the 1911 Census, he was living in the north-west Leicestershire market town of Coalville, at ‘Storer House’, Highfields (the couple’s only son, Ernest Arthur Edward Stabler, was born on 14 June 1911 at Ashby de la Zouche). Employed as a ‘grocer’s manager’ before the war, Percy became a member of the ‘Midland Pioneers’ from the battalion’s formation during October 1915, and he enlisted into the unit as a Private for the duration of the war at Leicester on 29 December 1915. 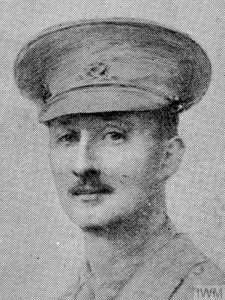 However, having already served for a number of years in the pre-war 2nd Battalion, the East Yorkshire Regiment, Percy was soon promoted to the rank of Acting Corporal on 1 January 1916 and then to full Corporal on 15 February. An Acting Serjeant by mid March 1916, Percy arrived in France with this rank on the 18th of the month. Further promotion followed and on 27 March 1916 he was promoted to full Serjeant. The Midland Pioneers were attached to 6th Division as the formation’s Pioneer unit and joined the Division ‘on the Somme’ in time to take part in the Battle of Flers/Courcelette that took place between the 15 – 22 September 1916. Here Percy displayed courage under fire that eventually earned him the Distinguished Conduct Medal. Promoted to Company Serjeant Major by this time, towards the end of 1916 Percy Stabler was admitted into the 20th General Hospital at Camiers suffering from ‘Myalgia’ on 22 December 1916; he was then evacuated to ‘Blighty’ for treatment and was at home by Christmas that year. 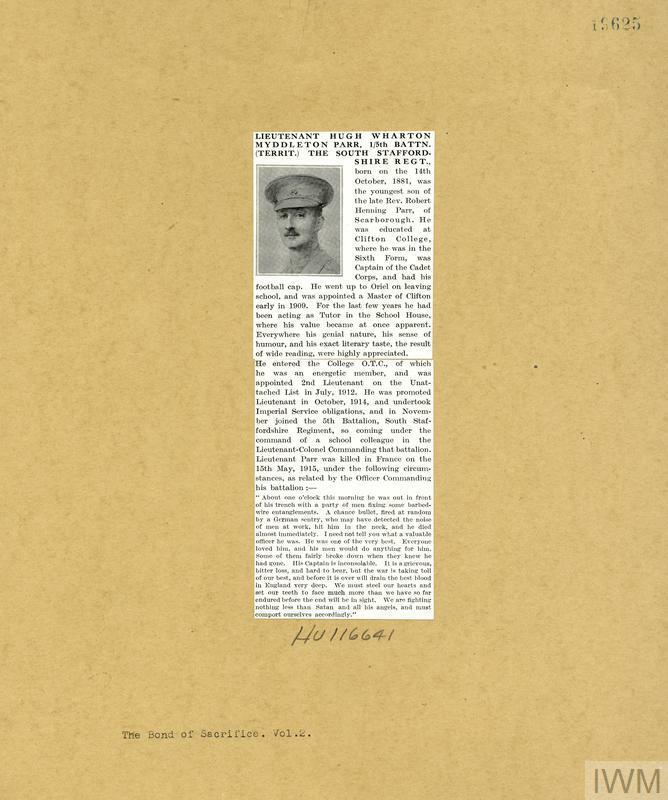 (The majority of the information regarding Percy Stabler’s military career has been gleaned from his very tattered Service Record that is available online courtesy of Ancestry.com). Out of action until May 1917, Percy returned to France on 25 May and rejoined the ranks of the Midland Pioneers, which at this stage of the war were stationed in the Arras Sector of Northern France. The news of Percy Stabler’s death, at the age of 35, was included in a casualty list that had appeared in ‘The Scarborough Mercury’ of Friday, 12 April 1918. Following his death at Abbeville’s No 5 Stationary Hospital, the remains of Percy Stabler were taken to the town’s Communal Cemetery Extension which still is located on the side of the road leading to Drucat, where he was interred in the Cemetery’s Section I, Row J, Grave 28. Despite being a native of Scarborough, for some unknown reason Percy Stabler’s name is not included on the town’s Oliver’s Mount War Memorial. The Memorial does, however, contain the name of; 240975 Private George Frederick Stabler. Additional Information: husband of Lizzie Priscilla Brackenbury, of 8, Friar’s Entry, Scarborough. For many years after her husband Alan’s death Emily Mary Barraclough lived with her 2 children Joseph Mickman and Rene, at 33 Friargate, a house they had shared with Emily’s younger sister, Lizzie Priscilla Brackenbury (formerly Cape), who was also a ‘war widow’. Lizzie was the wife of 940/DA Deck Hand Albert Victor Brackenbury, Royal Naval Reserve, who had died whilst serving in HM Trawler ‘Principal’ from the effects of bronchopneumonia, at the Rosyth Naval Hospital, aged 24, on 25 November 1918. Albert was subsequently interred in Scarborough’s Dean Road Cemetery; his grave is located in Section E, Row 27, Grave 33. Lizzie Brackenbury passed away at the age of 69 on Tuesday, 3 April 1962, and was buried in the grave at Manor Road following a service at the Bethel Mission, which was located at the time in Sandside. Editor’s note: it is not yet clear why Albert Brackenbury’s name is not listed on the Oliver’s Mount memorial. Regiment/Service: York and Lancaster Regiment 1st/4th Bn. Additional Information: son of John Thompson Barker and Ann Barker, of 59 Caledonia St, Scarborough. Bearing in mind that during the Great War a typical battalion of infantry had consisted of around one thousand all ranks, between 1 – 25 September 1916 the 1st/4th York and Lancaster Regiment lost 21 officers and 731 other ranks killed, wounded, and missing. Amongst them was: 203462 Lance Corporal John Thomas Barker. ‘Jack’ Barker was born in the village of Hutton Buscel during 1898 and was the only son of John Thompson  and Ann (formerly Robinson) Barker. Living in Scarborough at 59 Caledonia Street by the outbreak of war, Jack enlisted in Scarborough into the 2nd/5th Battalion of the Yorkshire Regiment (Regimental Number 2429) at the start of hostilities and followed much the same military pathway as Lance Corporal Gray throughout the remainder of his short life. Listed as missing in action in a casualty list that was included in ‘The Scarborough Mercury’ of Friday, 6 October 1916, Jack Barker was eventually recorded as having been killed in action during Thursday, 14 September 1916. However, further research by the author indicates that he had possibly been wounded and taken prisoner at an earlier date due to the fact that the 18-year-old soldier’s remains were interred some distance from the Somme Sector in a cemetery that was been used by various German Medical Units from 1914 until virtually the end of the war. Jack’s final resting place is located in Section C, Grave 13, in Caudry Old Communal Cemetery, which is located in Northern France in the town of Caudry, some 13 kilometres to the east of the city of Cambrai. Interestingly, Jack’s 40-year-old, ex-Grenadier Guardsman father, John Thompson Barker, also enlisted into the Yorkshire Regiment. During 2 May 1917 Scarborough lost: 203484 Lance Corporal Ernest Gray MM. Born in Scarborough during 1899 at 101 Commercial Street, Ernest was the eldest son of ‘Foreman Butcher’ Robert Barker and Annie Elizabeth (formerly Wharton) Gray. Fatherless from the age of 7, Ernest lived for most of his short life with his mother and 3 younger siblings Hilda, Olive, and Robert (born at Scarborough 1901, 1903, and 1906 respectively) at 3 St Johns Road. He was educated at the nearby All Saint’s Church Infant, and Gladstone Road Council Schools. Leaving school like most children of the time at the age of 13, Ernest become an apprentice to joiner Mr Spink, whose workshop was located in Belle Vue Street. Ernest enlisted into the locally-based Territorial Force 2nd/5th Battalion of the Yorkshire Regiment for 4 years service in the United Kingdom in Scarborough at North Street Barracks (this building would eventually become the YMCA until its demolition during the 1980s; the site is now (2011) occupied by a TKMaxx store), on 10 November 1914. Aged 17 years, two months at the time, according to his service record (courtesy of Ancestry.com), Ernest is also recorded as being 5 feet 6½ inches in height, with ‘normal’ vision and ‘good’ physical development. Issued with the Regimental Number 2689, a uniform, 2 pairs of boots and all the other accoutrements of an infantry soldier, Gray had set off on his journey to the war. Formed in Scarborough during September 1914 for Home Service only, to replace the Western Front bound 1st/5th Battalion of the Yorkshire Regiment the 2nd/5th Battalion of the Yorkshire Regiment initially had its headquarters in the town’s Grand Hotel. However, by the time that Ernest joined the unit it was stationed at Darlington, where Private Gray joined soon after his enlistment. Remaining in training at Darlington until April 1915, Private Gray and the remainder of the Battalion moved to Benton Camp, near Newcastle, and stayed in this location until the start of April 1916, when all those men regarded as ‘A1’ were ‘asked’ to volunteer for foreign service. Duly, during the night of 6 July 1916, he went the way of so many thousands of ‘Tommies’ before him by boarding His Majesty’s Transport ‘Golden Eagle’. Arriving at Boulogne the following day, Ernest was sent to one of the many Infantry Base Depots [IBDs] located near the town of Etaples. Assigned to the 37th (Territorial Force) IBD Gray underwent intensive infantry training at this Depot in large training areas located in the expanse of sand dunes located near ‘Eat Apples’ known to the men as ‘the Bull Ring’, where he endured seemingly endless hours of exhaustive drill and exercises overseen by bellowing and often sadistic instructors known to the men as ‘Yellow Canaries’ (due to the yellow armbands they wore). Private Gray endured the rigours of the Bull Ring until Monday, 17 July 1916. Posted to 1st/4th York and Lancaster instead of the Yorkshire Regiment, Gray exchanged his Yorkshire Regiment ‘Eiffel Tower’ cap badge for that of the ‘Cat and Cabbage’ of the York and Lancs and duly joined his battalion on 18 July whilst it was ‘resting’ at Forceville. Attached to 148 Brigade of the Territorial Force 49th (West Riding) Division, the 1st/4th (Hallamshire) Battalion of the York and Lancashire Regiment was a pre-war Territorial Force battalion of infantry. Located at Sheffield at the outbreak of hostilities the Battalion went to France during April 1915 and took part in the battle which included the first German phosgene gas attack during December that year whilst stationed on in the Yser Canal Sector to the north of Ypres. Involved in some of the heaviest fighting of the opening stages of the Somme of 1916, including the Battle of Albert (1-13 July), by the time that Ernest Gray joined the 1/4 York and Lancs the unit had recently been involved in the ferocious fighting on the Ancre, where on 16 July the unit was involved in an attack on Ovillers where it helped to fight off a German counter-attack on the ‘Leipzig Salient’ that had been spearheaded by bombing and flamethrowers. Throughout the remainder of August Gray and his battalion were stationed in various sectors of the Somme: Martinsart Wood (4 August); Hedauville (7 August); Puchvillers (18 August); Hedauville (25 August); Aveluy Wood (26 August); and back to Martinsart Wood on 2 September. The following day the Battalion moved into the front line of the formidable Thiepval Sector. Ernest took part in operations on the Somme throughout the remainder of the month when, between 15-22 September, he took part in the Battle of Flers/Courcelette. It was during this action that the 18-year-old and a number of comrades were buried alive in a dugout that was hit by an enemy shell. The first to dig himself out, the dazed youngster, nonetheless, played a part in the rescue of the other trapped men. Displaying ‘conspicuous gallantry’ during this episode in his life Ernest was awarded the Military Medal (the award was ‘Gazetted’ in ‘The London Gazette’ of 14 November 1916). Aged 18 at the time of his demise, the young soldier’s remains were taken to a small a battlefield cemetery located in an area that had once been an apple orchard near Pont-du Hem, a hamlet located on the main road between La Bassée and Estaires, where they were interred in Section 3, Row B, Grave 12. Commemorated on Scarborough’s Oliver’s Mount War Memorial, Ernest Gray was a former member of the congregation of All Saints Church in Falsgrave and his name was also duly added to the church ‘Roll of Honour’ that contained the names of 41 men of the church who had lost their lives during the war of 1914-1918. Unveiled during the evening of Wednesday, 27 July 1921 by Lt Col A D Legard CBE, Officer Commanding the local 1/5 Battalion of the Green Howards (Yorkshire Regiment) this fine memorial took the form of an oak screen and cost the church over £150. It remained in the church until its demise in the 1970s. However, the author does not know the current whereabouts of this memorial. Ernest’s name can also be found, to this day on a large brass plate ‘Roll of Honour’ located in the Junior Hall of Gladstone Road School. Unveiled on 14 December 1921 by Ernest’s former Headmaster, Mr William Robert Drummond, this memorial contains the names of the 71 other former pupils of the school (including sisters Esther W and Maria M McLaughlin who died at Scarborough during 1918 of ‘Spanish Flu’ whilst acting as nurses with the Voluntary Aid Detachment aged 25 and 21 years respectively) who lost their lives whilst on active service in the Great War of 1914-1918. I am indebted to my very good friend Mr Bill Parker for his assistance in the gathering of information relating to his great uncle Ernest Gray. I am especially grateful that he had told me the story of the letter with the preserved poppy enclosed which provided a moving and emotive end to the story of a very brave young soldier of Scarborough, God bless him. Regiment/Service: Yorkshire Regiment, 5th Bn. Additional CWGC Information: son of Edwin Snowden, of 63 Dean Rd, Scarborough. For some reason, Ted’s name was not recorded on Scarborough’s Oliver’s Mount War Memorial until 2010, though his service and sacrifice had been noted elsewhere. According to research carried out by Paul Allen, Ted Snowden was born at 18 Sandringham Street in Scarborough on 16 December 1896, the only son of hay and straw dealer Edwin Snowden and wife Hannah, formerly Hepworth. He was baptised in the town’s Jubilee Methodist Chapel on 3 February 1897 and his name had been included on a “roll of honour” that had been displayed in the foyer of that building until its demise in 1970 when it was demolished to make way for a building that today is Scarborough’s Job Centre. The whereabouts of that memorial to the men of the church who lost their lives during the Great War is not known. An apprentice electrician and living in Seamer when war broke out, Ted enlisted into the army at Scarborough soon after the German naval bombardment of the town in December 1914. 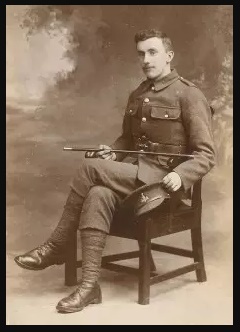 Joining the Yorkshire Regiment, he initially served with the 10th Battalion and received his “baptism of fire” during the Battle of Loos in September 1915. Fortunate not to be among more than 300 casualties suffered by the Battalion at Loos, Ted went on to serve with this unit throughout the Somme offensive of 1916 and the Third Battle of Ypres and Arras Offensive of 1917. By the end of 1917, the battle-worn 10th Battalion was stationed in France at Moislains but, at the start of February the following year, the unit was disbanded in an army reorganisation. Its officers and men were posted to other units of the Yorkshire Regiment, with Ted joining the 5th Battalion. After two years of service on the Western Front, he returned to Seamer on 14 March 1918 to enjoy some leave, but was recalled back to France soon after, probably due to the beginning of the German Spring Offensives. A postcard to his family back home, telling them that he had arrived safely, was the last they would hear from him. Relatives were told Ted had been killed in action on 25 May 1918 and although that is the date recorded by the Commonwealth War Graves Commission, Mr Allen says the evidence suggests he was probably killed before this date, perhaps soon after rejoining the regiment on the Somme, not long after the start of the German Spring Offensive. 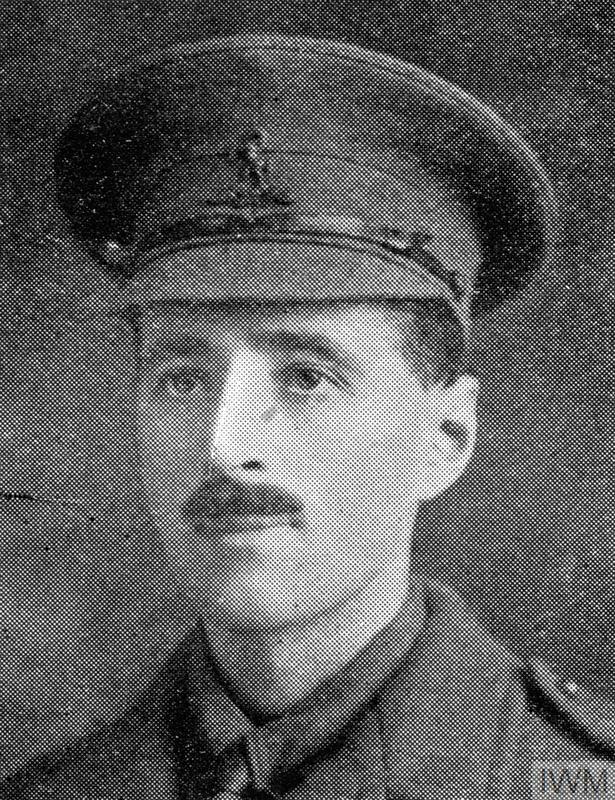 The remains of Ted Snowden can be found in Section 1, Row I, Grave 18 in Hangard Communal Cemetery, which is around five kilometres south of Viller-Bretonneux. Although the Jubilee Methodist Chapel roll of honour has long since gone, Ted’s name has been included on a brass plate roll of honour that to this day can be found in Seamer’s St Martin’s Church. Corporal, 3rd (West Riding) Battery, Royal Field Artillery, 2nd Northumbrian Brigade, 50th Territorial Division. Tom was a Scalby lad, only child of Edward and Jane Carr (née Adamthwaite). His parents met and married in Doncaster and were living in Scalby 4 years later where Tom was born. Both the 1881 and 1891 Census show the family were living at Fountain Cottage, adjacent to the Jubilee Fountain on the High Street. His father was a Nurseryman and Tom attended the village school where he rose to become a pupil teacher. The Minute Book of Scalby National School, 1863-1902, reveals that on 14 January 1899 ‘The matter of the Pupil Teacher Tom Carr being retained was postponed’ (since only three board members were present) and on 18 February 1899 Tom was to be allowed to remain a Pupil Teacher till December. The 1911 Census shows the family living at 1 Beaconsfield Villas, on Scalby Road. Interestingly, Tom was the Enumerator for Scalby and Newby in the 1911 Census. His records are among the ‘burnt records’ that survived the Blitz of the Second World War, and show that he was almost 6 feet tall with a chest measurement of 36 inches. He was promoted to Temporary Corporal on 22 January 1915 and his Medal Roll Index Card shows that he entered France with his Brigade on 20 April 1915. Exactly 5 weeks later he died fighting in the Second Battle of Ypres. The War Diary reveals that on 13 May the 50th Division moved up to the front line to reinforce the 28th Division, travelling through Poperinghe and Vlamertinghe and on to Ypres. As they travelled through the city and on to the Menin Road shells exploded around them and several buildings were on fire. The Brigade took up their position behind the front line with the 3rd North Riding Battery near a farm at Potizje, a village not far outside Ypres on the Menin Road, at the crossroads of what is now the N332 and A345. This was to be their home for the next two weeks. Over the next few days each battery registered its guns on various enemy targets, dug-outs were constructed, telephone lines established between each battery and HQ and suitable forward observation posts located. Late afternoon on 17 May the battery opened fire on a white gabled house which the enemy was using as an observation station; about 21 rounds were fired at a range of about 2,000 yards. The enemy replied with high explosive shells, directed chiefly against the Cavalry Brigade HQ. 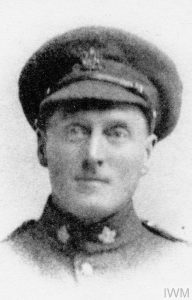 Corporal Tom Carr was wounded slightly in the heel. 24 May 1915, Whit Monday, was a hot, fine day. Tom Carr and the 3rd North Riding Battery came on duty at 1am. At 2.45 am the battery reported heavy rifle fire from the front line. In fact this was the start of the Battle of Bellewaarde Ridge, the official history recalls. At 2.45am the enemy sent up six red lights whereupon heavy fire was opened by guns, machine guns and rifles. A cloud of gas on the largest scale yet experienced was released on nearly the whole length of V Corps front; about 4.5 miles. At 4.45am Left section reported No. 4 gun out of action, a Serjeant and Gunner wounded. At 6.08am orders were received to concentrate fire on enemy trenches and to gradually decrease range. The enemy began to fire gas shells at the British artillery. Only 6 respirators had been issued to the battery; the rest had to use wet handkerchiefs though the official history records that the gas used in most of the shells fired that day did little more than make the eyes water. At about 7am a shell, estimated to be a 4 inch high explosive shell, exploded to the rear of No 1 gun of the 3rd N. Riding Battery, a second hit the gable of a nearby farm building and a third struck the right wheel of No 1 gun. This killed Corporal Tom Carr and 4 other men, and seriously injured Sergeant George Payne Hill from Whitby, who died of wounds the following day. A burial party was organised at about 7pm under Lt W.H. Cooper and the five men were buried at the rear of the farm under a hedge at Potijze together with Robert Wilson, driver of an ammunition wagon. Their graves or identification were lost and they are now remembered on the Menin Gate, built in 1927 by the bridge over which the men would have passed 2 weeks earlier. Sgt Hill is buried in Bailleul Communal Cemetery. The Battle of Bellewaarde Ridge ended the following day and on 27 May the 3rd North Riding Battery, together with the rest of the brigade, marched out of the line to billets. Tom’s death was widely reported in the local press. News was received this morning by his father, Mr Edward Carr, Beaconsfield Villa, Scalby, that his son, Corpl. Tom Carr, … North Riding Battery, R.F.A, Scarborough had been killed last week, and that he had been buried immediately, the circumstances agreeing with those cited in a letter which is quoted in another column. Corpl. Carr was well known in Scarborough, where he was employed at Mr Dalton’s bookshop, Newborough, and also as a night assistant at the Telephone Exchange. Gunner J W Clarke of 8 Lower Albion Street and Gunner George Robinson were also reported killed with Tom Carr. It is my painful duty to inform you that your son was killed in action yesterday (25th). He was one of A gun detachment which about 7am was engaging German infantry with rapid fire. A hostile battery opened fire, and the third or fourth shell exploded on the right gun wheel. Your son was killed instantly. He was buried with his comrades the same night near the spot where he so bravely met a soldier’s death. The exact spot has been noted and marked and will be communicated to you later if you desire. His effects will be forwarded through the Record Office. Gunner Rowbottom was 27 years of age and was single. His parents have received numerous letters of sympathy. APPRECIATION. The kindly feeling of attachment which exists between the Scalby Schoolmaster (Mr John Tickle) and his old scholars, is expressed in the following extract from a letter of sympathy in the death of Corpl. Tom Carr, R.F.A., killed in action: “Tom was known to me ever since he was a little fellow two years old. You know how I esteemed him and how intimate and pleasant were the relations between us. His name stands at the head of our roll of honour in school and there it will remain as long as the school lasts. His death was the death of a hero. He will be remembered with the bravest of the brave.” This extract well expresses the feeling at Scalby in regard to one who was universally esteemed in the district in which he was well known.